Photo courtesy of the Boston Athletic Association. BOSTON – Six viewing locations along the Boston Marathon route are just as iconic as the race itself. 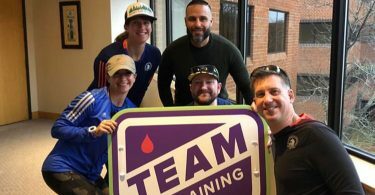 The Boston Marathon is the oldest annual marathon in the world and grew from 18 participants in 1897 to 30,088 participants in 2018. 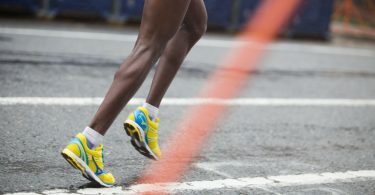 The marathon is a milestone in the lives of the runners, as well as an important event in the city of Boston where crowds gather to watch the runners every step of the way. Hopkinton has marked the start of the Boston marathon since 1924 when the course was lengthened to conform to the Olympic Standard. Bustling on race morning, the Hopkinton roads close at 7 a.m. in preparation for the Marathon to kick off, and from 9:02 a.m. racers start the 42.195 kilometer journey. If you want to be among a group of energetic spectators, head to the halfway point of the race and be a part of the Wellesley College Scream Tunnel. The Tunnel has existed as long as the race itself, gaining momentum in the 1970s. Spectators often settle at one of the most notorious sections of the race, a steep half mile incline at the 20th mile of the course. It was named “Heartbreak Hill” in 1936 by Boston Globe reporter Jerry Nason. Johnny Kelly, the defending champion of the marathon, gave competitor Ellison Brown a tap on the shoulder as he passed him on the incline. The gesture pushed Brown to regain the lead and win the race, leaving Kelly heartbroken. The race also runs right through Coolidge Corner, where almost all of the businesses in the area are in the original buildings constructed between 1890 and 1930. The spot is perfect for those who want to catch a bit of the race and also get some brunch at Zaftigs Delicatessen, do some shopping at Brookline Booksmith, and make a Trader Joe’s run. Kenmore Square is sure to be busy on race day, also known as Patriots Day, because in addition to Kenmore marking the last mile of the race, the Red Sox will be playing their traditional marathon day game, going up against the Baltimore Orioles at 11 a.m. A mix of Red Sox fans, marathon fans, and Boston University students end up flooding Kenmore Square to cheer on the runners. And of course, the finish line is always a fantastic place to watch any race. The Boylston Street finish line, right in front of the Boston Public Library, draws many spectators and sparks many emotions. Because of the hustle and bustle of this location, it is best to get here as early as possible and be aware of security restrictions in place after the 2013 bombings. 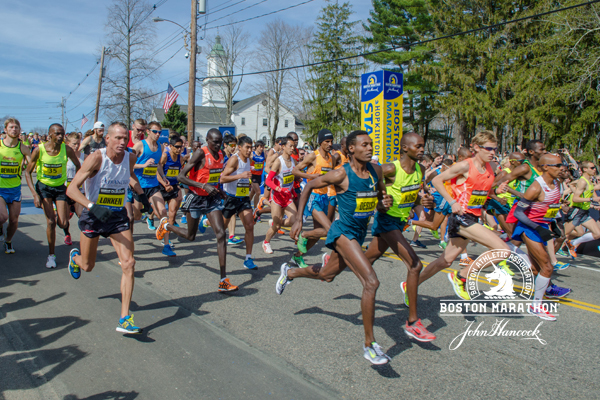 Regardless of where you view the race, the spectator information provided by the Boston Athletic Association is the place to go to get the best viewing times and spectator rules. If you won’t be at the sidelines this year and still want to watch the race, there will be live local coverage on WBZ-TV and national TV coverage on NBC Sports.